I’ve got (another!) lipstick review today! I think lipsticks might be my favorite beauty products. Anyways, these lipsticks were on my wishlist for a long time after seeing them get great reviews online. I own two shades and they’re so lovely. I would love some more shades, but at $24/£18.00 they are more than what I’d like to spend on lipsticks regularly. The formula is shiny and moisturizing. The lipsticks are pigmented. I would compare them to the Revlon Lip Butters except there are two mayor differences (other than price and color selection): opacity and texture. 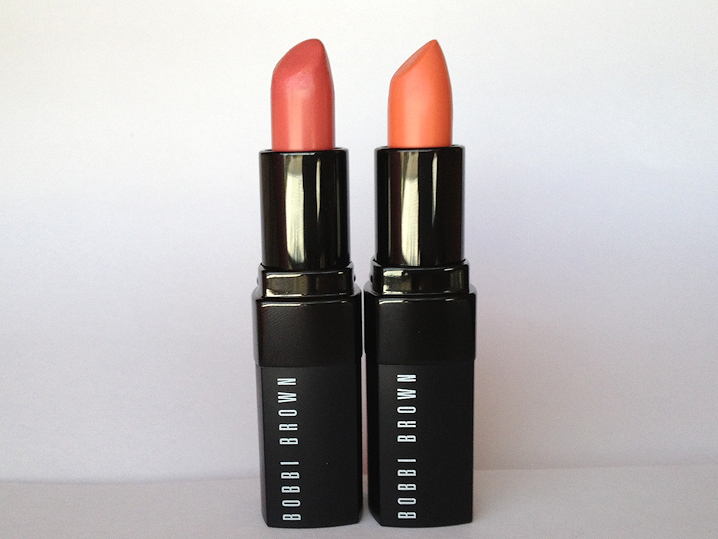 The Lip Butters are semi-opaque so you can build them up to full opacity and get many looks out of one product. 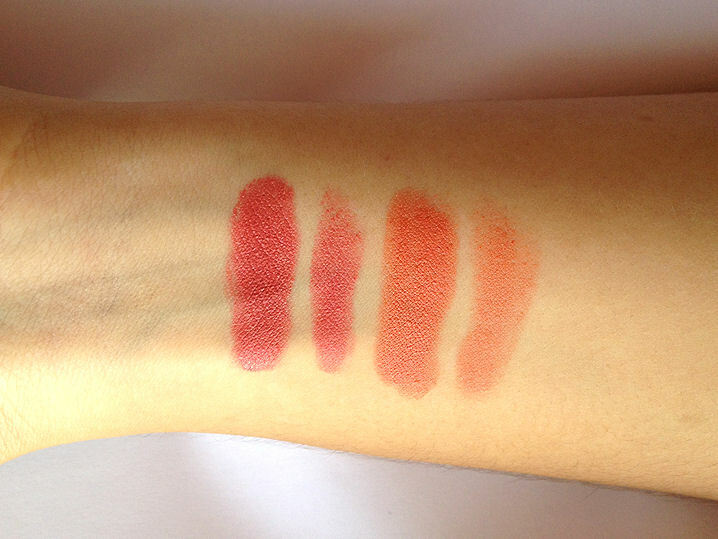 The Rich Lip Colors are pretty much opaque in one swipe. The texture is different because, although they are both shiny in finish, the Lip Butters feel more slippery whereas these feel more moisturizing. Check them out if you're looking for wet or hydrating lipsticks. They don't dry out your lips after wearing them and they leave a stain behind after the shine is gone which is very pretty. Pink Peony is brighter on the lips than on the tube. Not MAC Impassioned or Viva Glam Nicki bright, it's more subdued than those shades, but it definitely stands out. It's a gorgeous color! Soft Coral is more peach than it is orange or coral. So if you find oranges hard to pull of, you will like this because it's lighter and can be built up or muted down. -Very pigmented and long lasting. -Similar to Revlon Lip Butters but better in pigmentation and texture. -Include SPF12 for those who always want SPF on their lips. -Only negative is that, although the formula is forgiving most of the times, it can build up on problem areas if your lips are very chapped/dry. Overall, these are high quality lipsticks. I give them an A. 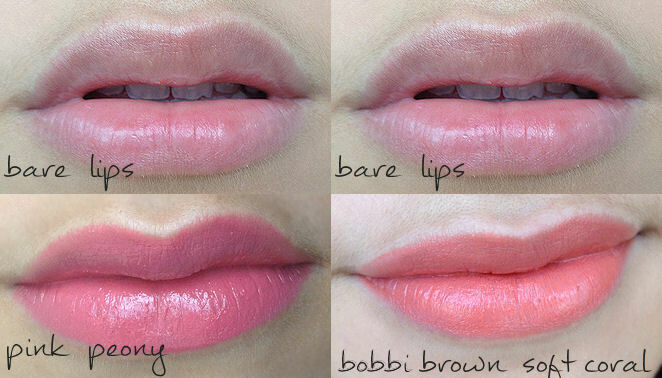 Beautiful colours and they look really lovely on your lips. These lippies are very pretty! Both are beautiful colours on you! Soft coral is just beautiful!